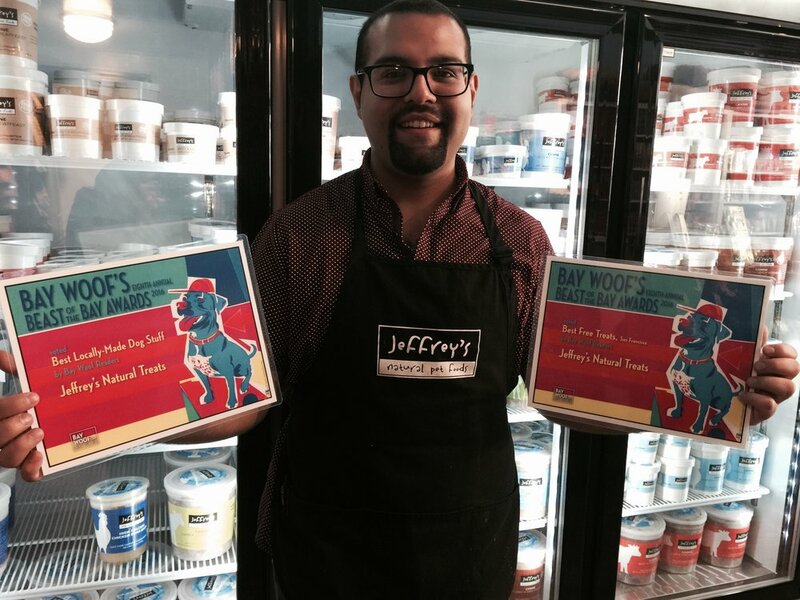 Best Free Treats - when your treat bowl is filled with locally sourced, locally made, Jeffrey's jerky, this category is a shoo-in! 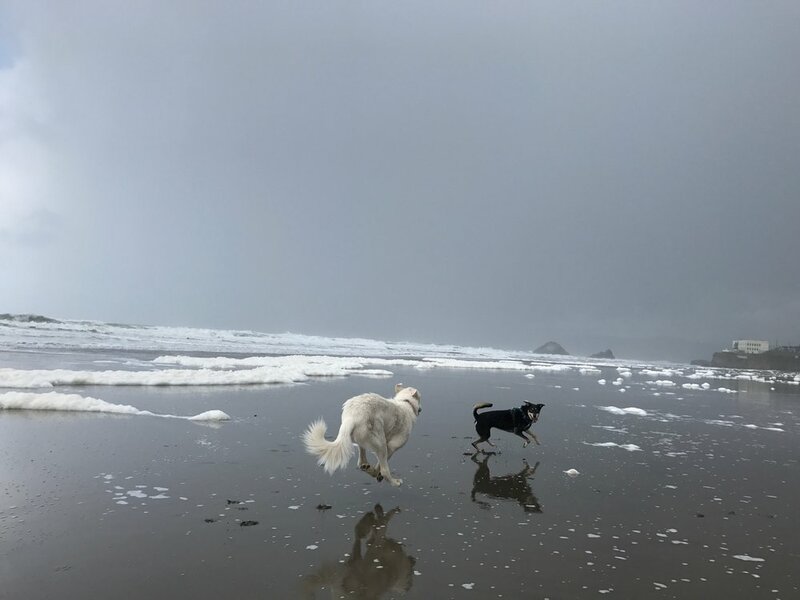 Best Pet Boutique - when you feature locally made goods like Gwen Gear, Wildebeest, FYDO, EcoPawz, Paw Patch Pastries, and of course your own homemade goods, we would say best consciously minded boutique is a win! 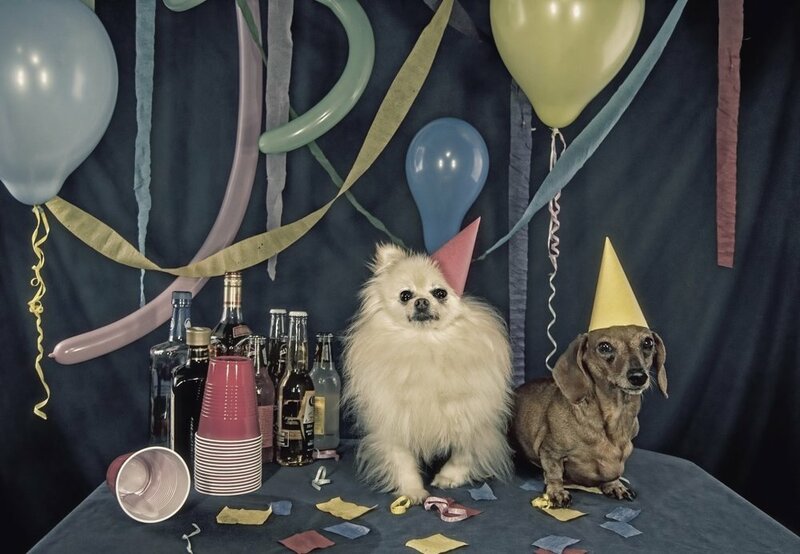 Best Doggie Birthday Present - we have you covered! With glamorous collars and bow ties (locally made of course) a variety of healthy birthday treats from Paw Patch Pastries, long lasting toys, and our own home made goods, we know how to celebrate birthdays at Jeffrey's! Best Locally Made Dog Stuff - this is a category close to our heart. Jeffrey's started nearly 20 years ago with one goal, to make the absolute best dog and cat food and treats available anywhere. This goal has never changed! Thank you for your support! We couldn't do it without you! How great is Jose, PS? Jeffrey's customers earn money EVERY time they shop with us! Ask us how you can save today!